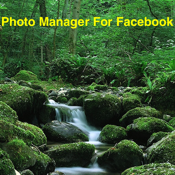 This iPhone/iPad App allows you to manage all your photos in Facebook in a easier way. The viewer component allows scrolling, zooming and sliding to move to next image. The photos taken can be stored either locally or uploaded in your Facebook account. Folders can be created both locally and in Facebook account. All your existing photos in your Facebook account can be downloaded and viewed offline. The most attractive feature is that you can download and view the shared photos of your Facebook friends uploaded in their Facebook account.